I came up on some great instructions along with a great video on how to protect your motorcycle after watching it from the MCN YouTube channel. The instruction below, along with the video will teach you how to make sure your motorcycle is not just sparkly clean, but safely waxed and protected as well. So there she is, your brand new Kawasaki sportbike – ok, so you don’t ride a sportbike, or a Kawasaki, and your bike’s been brand new since you bought it four seasons ago, whatever – what do you do after washing your motorcycle? 1) Well, assuming it’s dry and looking good, start by applying a surface protector to plastics, casings, and other surfaces, including joints, contacts, and moving parts to prevent corrosion. 2) If necessary, use a wax remover to prepare bodywork for a fresh coat of wax. 3) Apply wax or polish and buff using a microfibre cloth. 4) Finally, apply brake cleaner to your discs and remove with paper towel so as not to introduce contaminants. 5) Watch a full minute of slow moving camera footage of your sparkly clean Ninja – ok, so it’s not a Ninja, whatever – and enjoy! I really appreciate when the big boys in the online motorcycle world put this kind of thing together. A while back I shared a video from Jafrum about how to clean your motorcycle gear. This is another great case of one of the big players with fancy camera equipment, video editing software, and a knowledgeable and skilled team putting together something that doesn’t try to sell, it just provides an asset to the motorcycle community. Similarly on YouMotorcycle we host the M1 Motorcycle Test for people to practice on before they go and write the Ontario provincial motorcycle test. 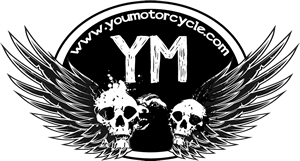 It’s always great to see websites go out of their way to go above and beyond and help motorcyclists. We’re all in this together, so props to MCN for doing this! They’re using products from a brand called Muc Off. We’ve found and linked to the exact same products on Amazon for those interested, but we recommend AMPP.